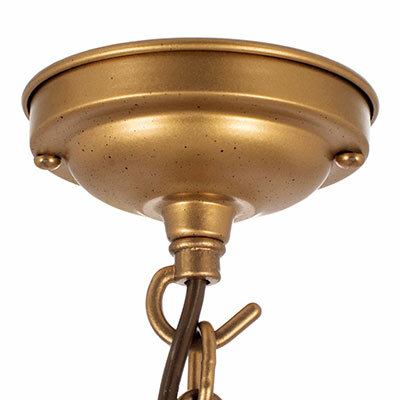 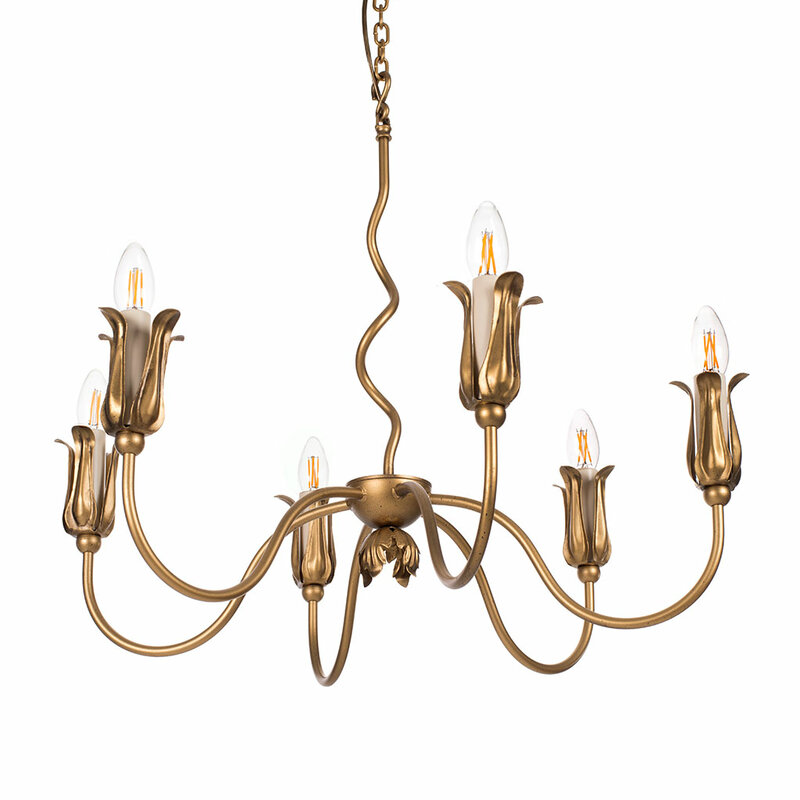 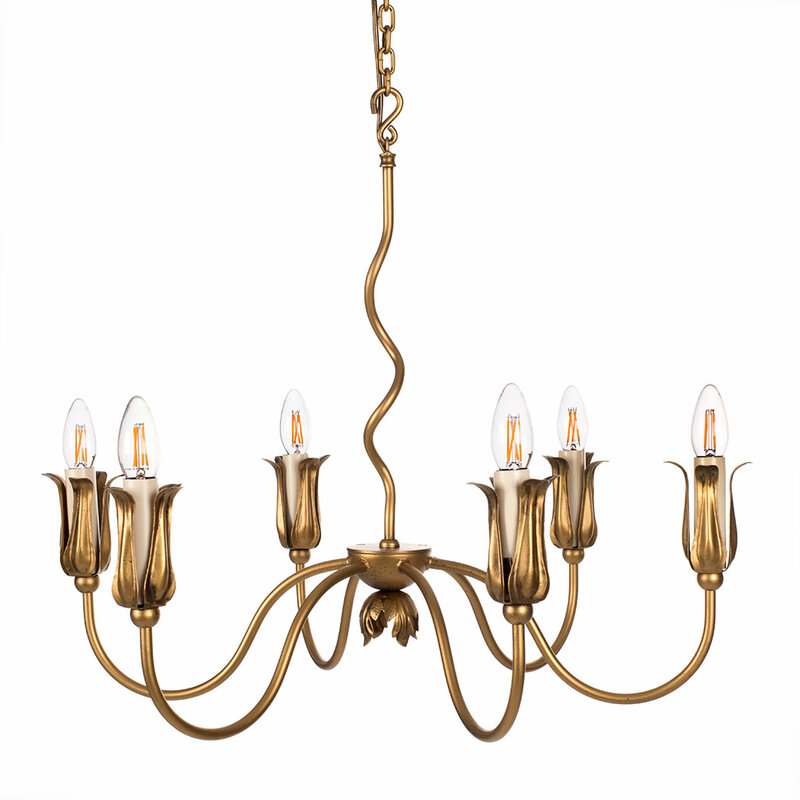 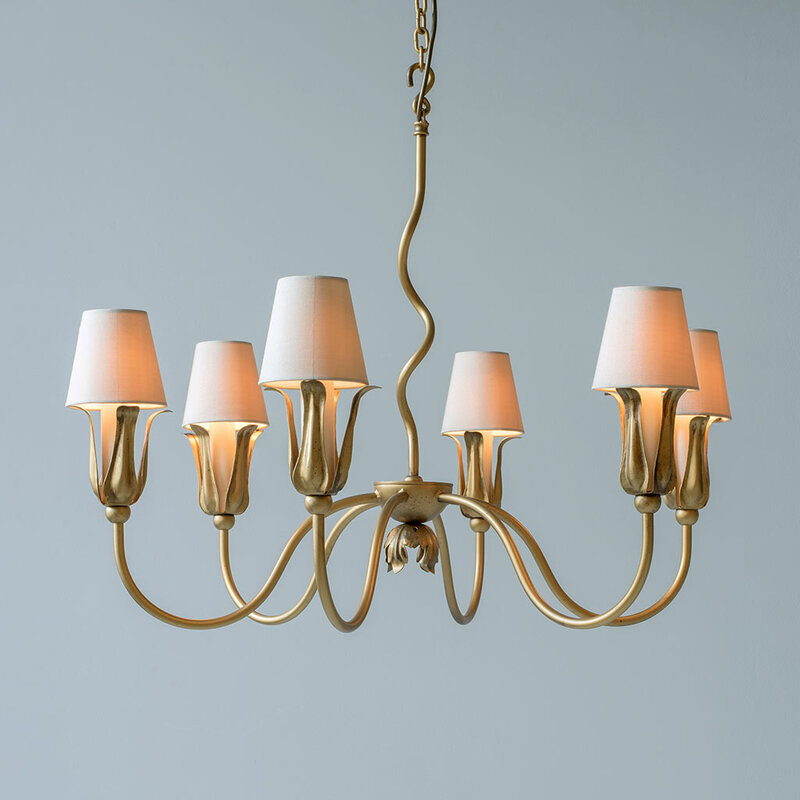 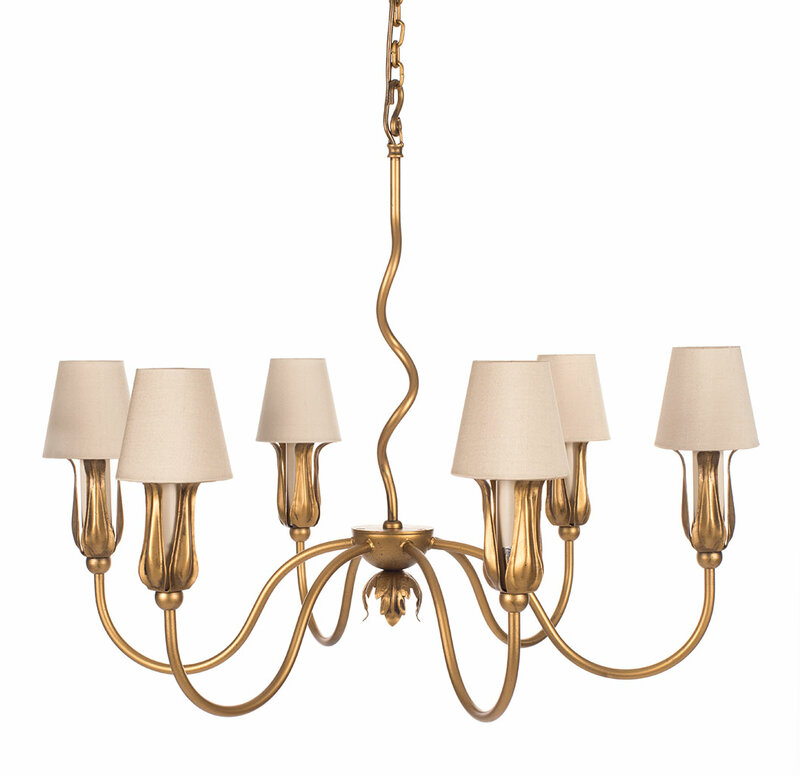 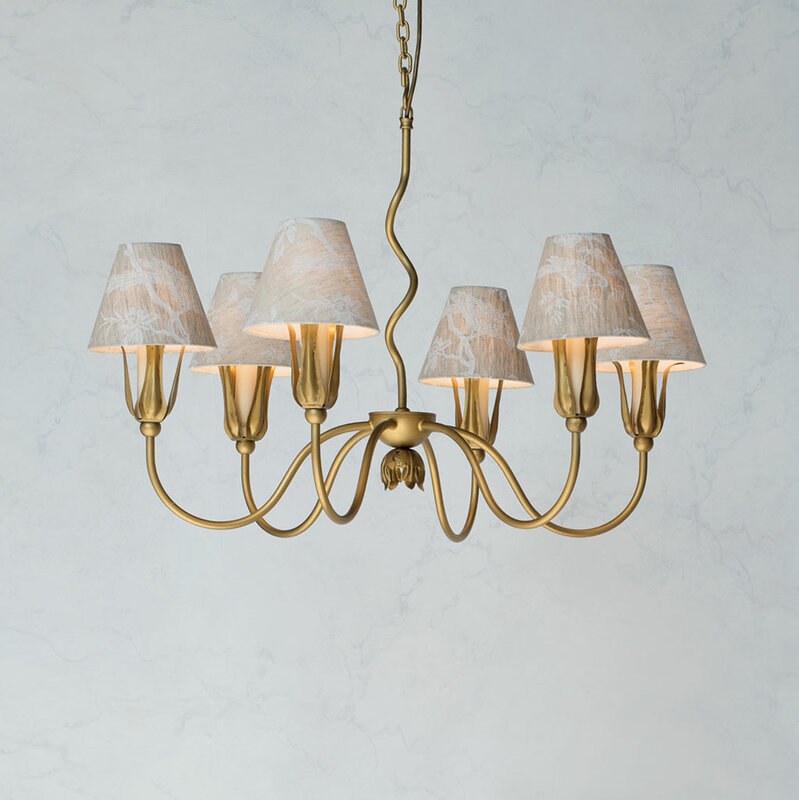 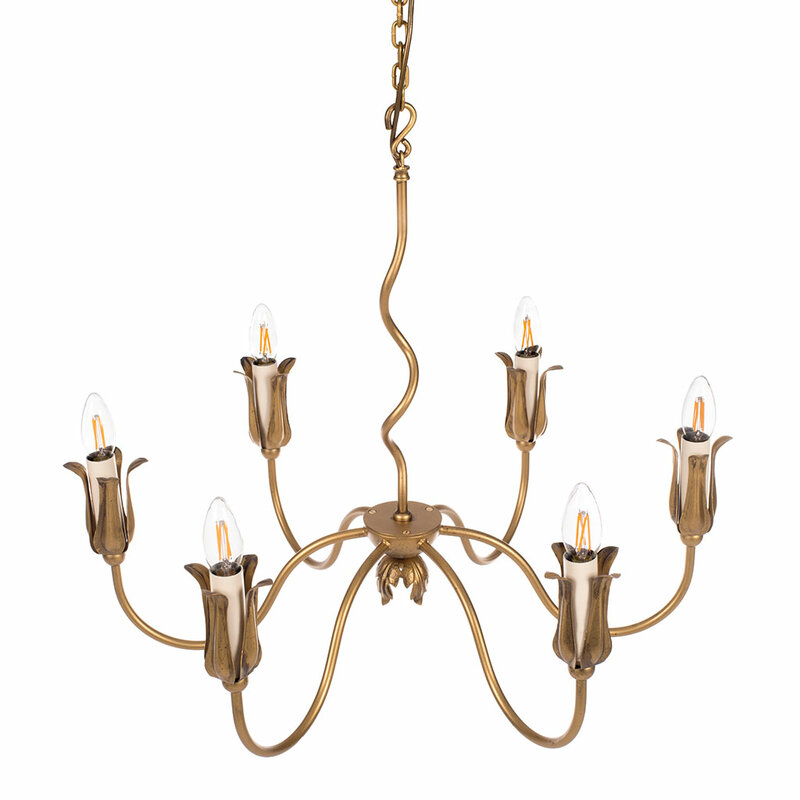 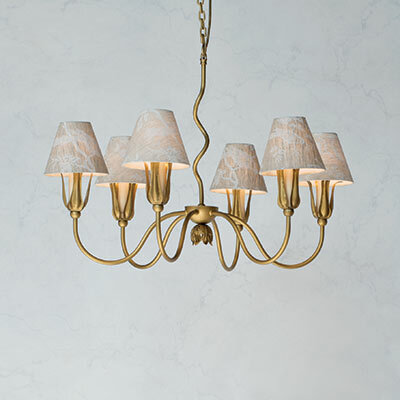 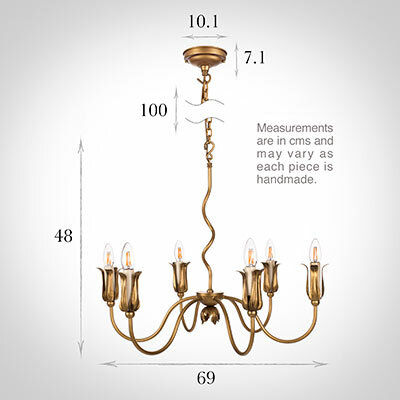 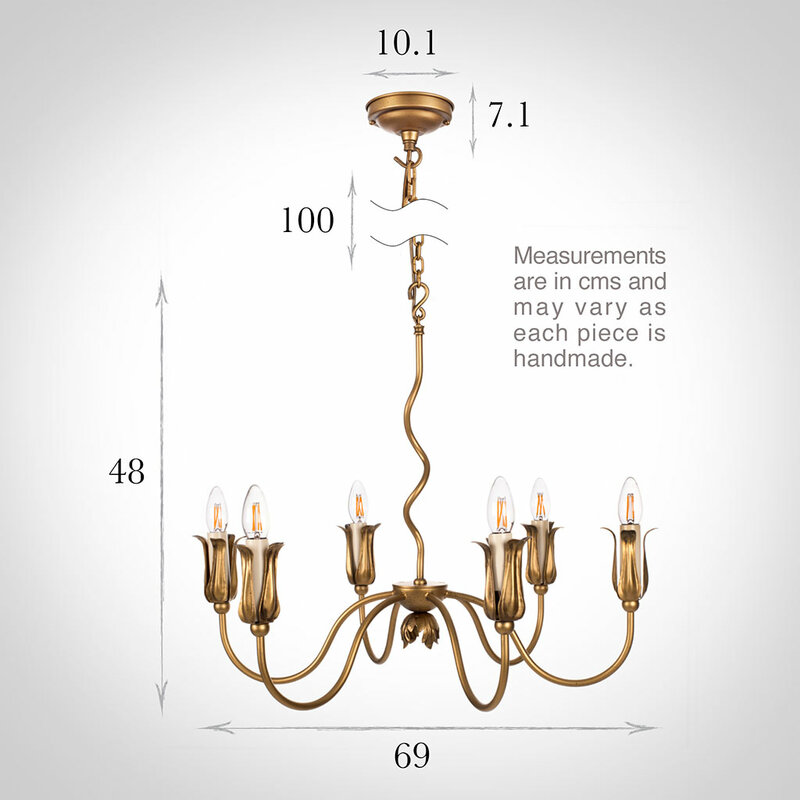 A beautiful, hand forged pendant with six elegant arms in our old gold finish. A grand pendant light with plant-inspired detailing, ideal for a the centre peice for any room. 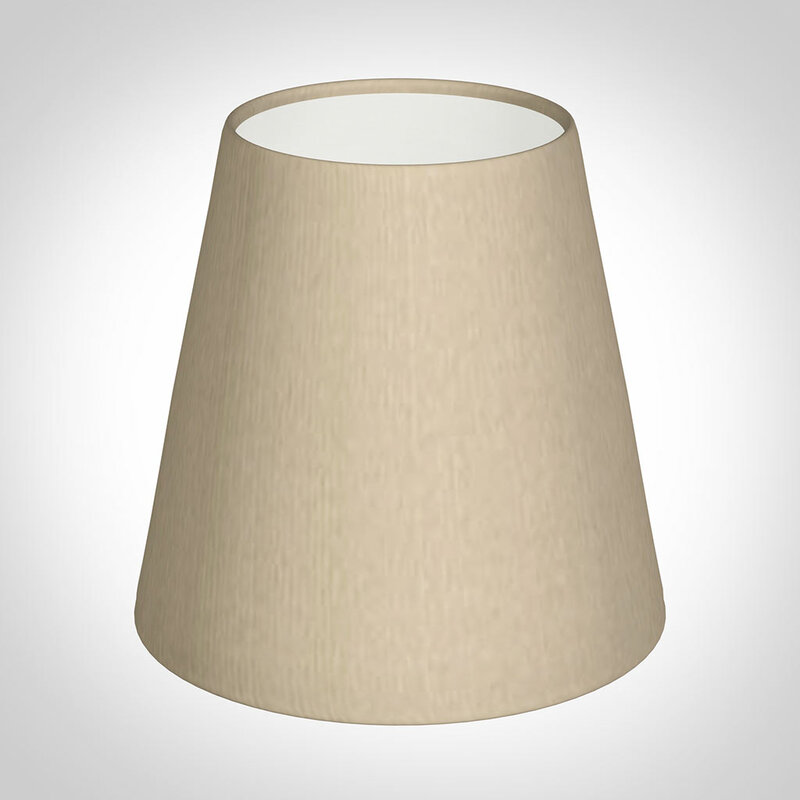 For a matching table lamp, please see our Tulip Table Lamp.